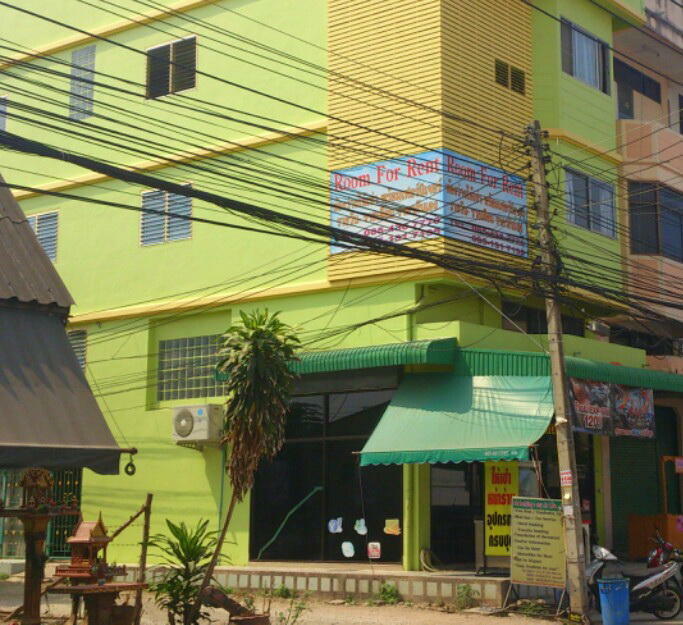 Pattaya City Hostel is located only 750m walk away from the main bus station, if this is too far the staff are happy to collect you. Andy and Mana are young owners that will offer you you fun and enjoyable living experience. We have dorms and private rooms, all of which are with sheets and free breakfast and offering private showers for each room. As Mana is a trained chef, you can join her for a Friday Thai Curry night. Not only will she show you the secrets of Thai cooking, but also you can enjoy it with a cold beer. Go to Walking street after and take in the wild and strange sights, that only will only find in Pattaya. 750m just around the corner, we will collect if needed. Turn left when leaving bus staition then first left then second left then on Soi Photisarn we are a large green building with an internet cafe. Pattaya City Hosteis just in front of family mart.